Those days ‘Jungle Movement’ was in its peak in Singhbhum district of Jharkhand. The government was planting ‘Sagwan’ trees in the ‘Saranda’ forest by destroying ‘Sal’ trees. Sal trees play the crucial role in terms of economic and social life of inhabitants of this region, above all the tribal and other forest dwellers are religiously associated with Sal trees. 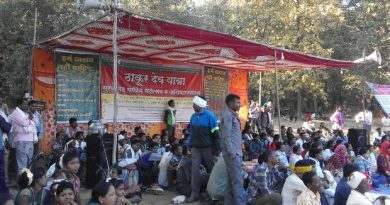 These communities were involved in ‘Jungle Movement’ and were protesting against government’s act of insensitive- deforestation and tricks of capitalist penetration into Saranda Jungle. The teak (Sagwan) plantation was the symbolic encroachment in the life of these communities for further exploitation and oppression by the hobnob of capitalists and state of Bihar. And this reality is well known to these communities since the Dikus (outsiders) had dwindled historically the resources of their ancestors. Their ancestors fought against such encroachments and oppression of Dikus. Unfortunately, the social movements of their ancestors to protect their property, life and liberty were inked as ‘revolts’ by the English and later the same perspective, supported by mainstream writers. Hence the tribal movements were scantly written as tribal revolts. The 1980s generation were carrying forward the social movement of their ancestors to protect their life, resources and liberty. Therefore they were protesting the plantation of teaks in Saranda Jungle and uprooting the ‘Sagwan plants’. The leading leaders of ‘Jungle Movement’ in undivided Singhbhum district were Devender Majhi, Shailendra Mahto, Shula Purti, Mora Munda, Machhua Gagrai and Lal Chand Mahto. The government had deployed large number of Bihar Military Police (BMPs) to suppress the movement. At the same time in Gua, people were agitating against mining of iron ores. The red water (polluted) of iron ores was running through their agricultural fields that were converting their land into barren, unproductive and uncultivable. The livelihoods of these communities were connected with the produces on their fertile and cultivable land. The rivulets were poisoning by the mining and air was polluted. The livelihoods and health of the existing communities and their livestock become grave social and political issues. 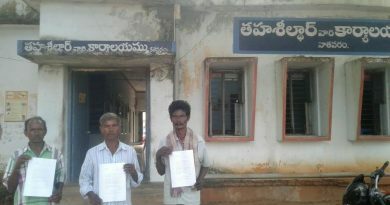 The local communities were demanding jobs as compensation of their land. The public rally was organized on September 8, 1980 in Gua (West Singhbum, Jharkhand). The administration was also aware of it. The large population was to participate in the rally, particularly from Sonua, Goelkera and Manoharpur blocks. The state deployed the BMPs to blockade the roads in order to suppress the rally and railway routes were under strict supervision of BMPs and the trains were being checked. The agitators were being detained. The agitators were proceeding through dense forests to the declared place where the rally was to be addressed by their leaders.. The leading leaders of this rally were Bhubneshwar Mahto and Bahadur Oraon had reached to the place where the people to assemble for rally. The agitators had to gather in Gua aerodrome, the rally was to begin from there. The agitators were equipped with traditional weapons and music drum (nagada) and marching ahead The BMPs were deployed to blockade the rally, as the rally came out from aerodrome, the BMPs threatened the rally and detained it to march forward. But, the agitators of Jungle Movement did not stop and reached to local weekly market, Gua. The agitators began to gather in the weekly market where rally was to assemble and to be addressed by their pioneer leaders. The other leaders like Sukhdeo Hembram, Sidhu Jamuda and Lalit Hembram also reached to the meeting place. Baisakhu Gope, the local leader began to address the gathering. The protest was going on smoothly, Though Baisakhu Gope was addressing the gathering a bit aggressively. Police came and arrested Bhubneshwar Mahto to interrupt the address and to disperse the gathering. On the other hand gathering pulling Bhubneshwar Mahto to free from the clutch of police. Simultaneously, Baisakhu Gope had been arrested. The police was also trying to arrest Bahadur Oraon. The growing excitement of agitators to protest against the cruel behaviour of police led gathering uncontrolled, and the police started firing and on other hand agitators reacted by showering arrows on the police. On the spot three agitators and three BMPs were killed. The rest soldiers flew away to save their lives. The incidence of police firing and the killings of police and agitators reached to the people in no time and shortly spread like fire in the state. The injured people were taken to Gua hospital for treatment. The state machinery became crueller and brought more police from Jamda. The BMPs reached the Gua hospital and brutally killed by firing the 8 injured people by making them stand on a queue. 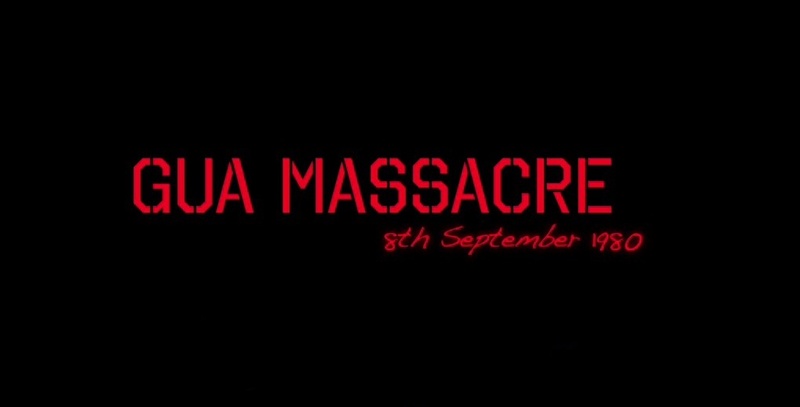 Behra Balmuchu was a patient who was hospitalised for the last few days was the eye witness of this massacre. Here is an interview of Ms Lily Minz, a staff nurse at hospital during the incident and a witness of Massacre. ← Who is Bastar IG- SRP Kalluri & what’s behind ongoing ‘lawlessness’ in the Region? 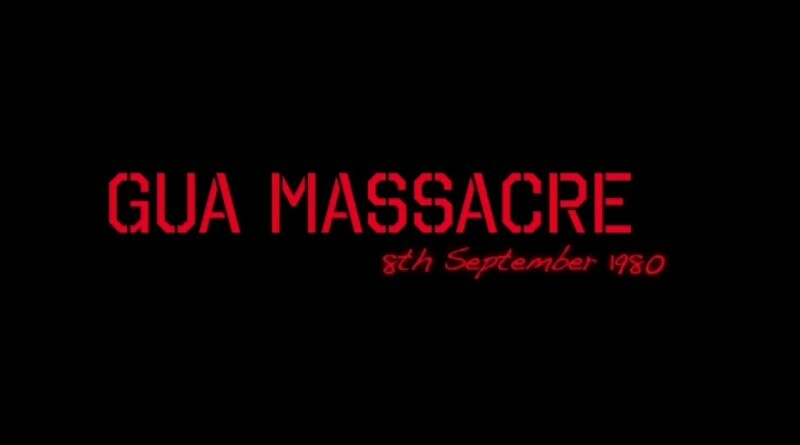 Good job and thank you for carrying this very important massacre which today is being forgotten by so many of our activist. Do note that the day before 7th Sept 1980 there was a demonstration of displaced villagers at the TATA STEEL aerodrome near Noamundi. Officials of TATA were beaten up. It was Russi Mody the then Chairman of TATA STEEL who wireless ed the Chief Secretary of Bihar and commanded him to crush this movement. The Gua Golikand resulted.